E-tailing: Discounting in Sales period leads to lower contribution margins. 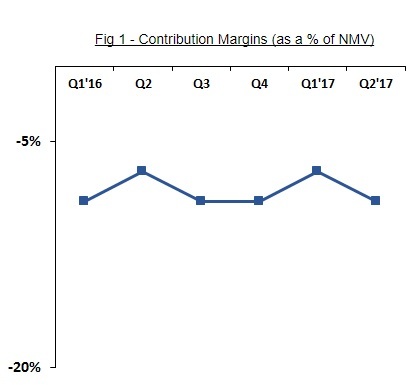 With the different sales like (PRE-GST and end-of season sale), Q2’17 witnessed a decrease in contribution margins for the industry vs Q1’17. Increased discounting spends due to multiple sales events in Q2 primarily contributed to higher spends. 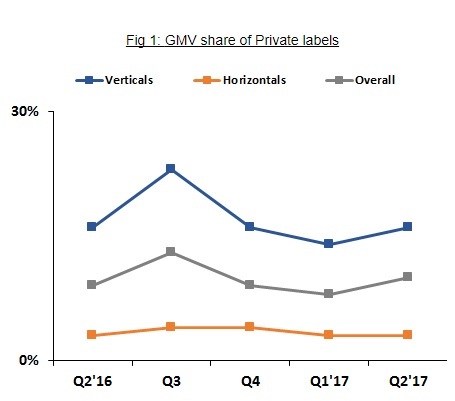 Fashion E-tailing: Fashion e-tailers see an increase in the share of private labels. 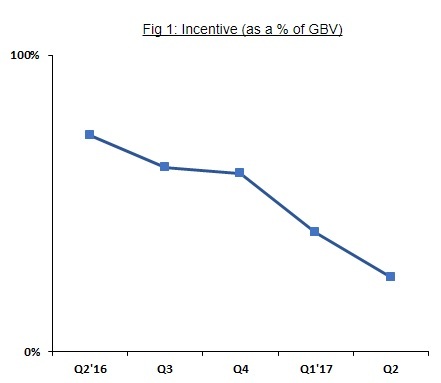 Despite strong opposition by drivers, cab aggregators continued to reduce expenditure on incentives with Bengaluru and Delhi seeing the biggest incentive drop in Q2’17. 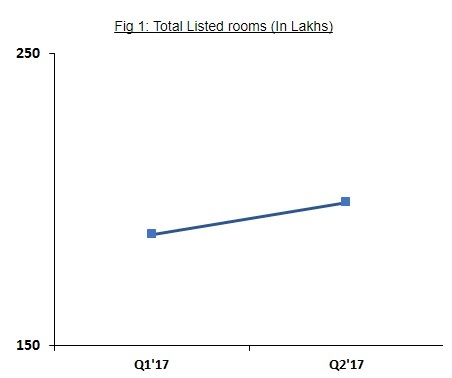 Hotel Aggregators: Online Hotel Aggregator Industry witnesses increase in listed rooms. The AMJ quarter saw the industry make an aggressive push towards increasing the no. of partners on their platforms. 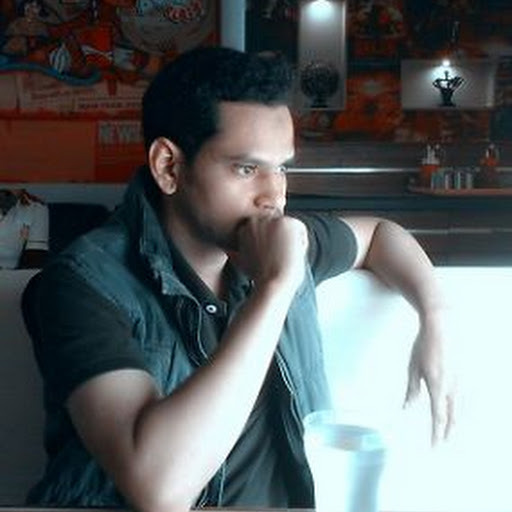 With the increasing number of partners, the total listed room increased. 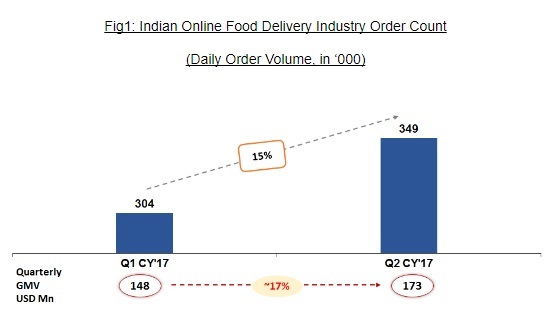 Food-tech: Online Food Delivery Industry Sees 15% growth in AMJ quarter. The AMJ-quarter witnessed slower growth trend than JFM-quarter. With the growth being limited in the penetrated cities, players have launched several marketing campaigns to increase order volume in underpenetrated cities. Chennai, Mumbai, and Pune are the key focus cities for increasing volumes. Next articleWhat’s Special in the Xiaomi Mi MIX 2 Special Edition?